The planet is getting more crowded, the Internet can connect us to a worldwide art market. I used UBER instead of traditional cabs on a recent art trip, and it was a great experience. The largest cab company owns no cabs (UBER), the largest film business owns no films (NETFLIX), the largest phone company (SKYPE) owns no telephone lines. It’s that adapt or die thing, the Artworld is slowly changing but it must also adapt to keep moving forward. Change is hard, but change is ultimately good. In 2014 I did an art tour of rural Canadian communities in Western Canada, on Vancouver Island and the Okanagan Valley in British Columbia. In 2015 I toured three major Canadian art centres; Toronto, Vancouver and Edmonton. 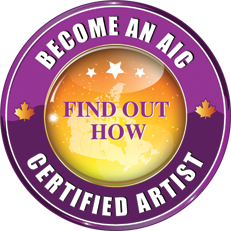 I spent time visiting and speaking with Canadian artists and art professionals; artist run centres, independent artists, private art galleries, and art museums. I gained a broad view of what the current Canadian Art Market really looks like off-line, and get to see how the right on-line presence can enhance, and in some cases benefit, the current art market and traditional art gallery system in Canada. I understand what is being promoted, what sells the most, what is popular, and what is coming. I also understand pricing differences between markets. Traditionally art galleries have drawn from their regional markets when it comes to art, and artists built their careers regionally first, later branching out. This is slowly changing because of access to a worldwide pool of talent, online. Right now, the value of the Canadian dollar and overhead are causing less established galleries to close their doors, at a time when many are reining-in their purse strings, there is huge opportunity for an artist or gallery owner with a little marketing ingenuity or guidance from a successful arts professional, and you can be ahead of the crowds. Over the past decade of exhibiting my paintings inspired by Canada, I have been fortunate to reach new audiences through working with diverse venues often outside the traditional Canadian art gallery system. Whether it be a Canadian National Sports venue, an artist run centre, a corporate head office lobby, a luxury car dealership, or city utilities exterior property; I have had some fun with shaking up the idea of where art should be displayed. I am currently a self-representing Canadian Visual artist, while I have exhibited in many Canadian galleries, mostly in group shows, my survival financially as an artist is completely my responsibility. I have nothing but love for galleries, and maybe someday I will find a Canadian Art Gallery that ‘fits’, until then it is up to me to run my career like as a business. I designed and update my own website, social media accounts including Twitter, Facebook and Instagram, design my own marketing materials, write my own blog, while also writing for other arts related businesses. I manage my client’s accounts, write my own newsletter, and work on business development through building relationships on and off-line. I do my own invoicing, correspond with my clients and organize shipping. I travel to meet with clients, artists, and art galleries in person when I feel the relationship requires a face-to-face meeting. I take the photographs of my art and create and edit the videos on my Vimeo channel. I write the proposals and pitch the ideas. The only things I do not do at this point are drive, make my art crates, print my Giclees, hang or wire my own paintings; for this I have associates that are experts in their fields. A quality control person if you will, someone who ensures the finishing touches and delivery are exceptional and seamless. What is also important is knowing that when you develop a rapport with a specific gallery, and you decide to work with them on representing your work to their clients, you can’t just sit back and hope they will take the reins of your art career. Working with a gallery means a partnership, and you are just as responsible as they are for continuing to bring new clients into your art collector fold. The responsibilities may shift, but you still have to be an active advocate for your artwork and your career as an artist. I think this is something many artists miss and therefore can find themselves in tough situations, sometimes being taken advantage of by those marketing their art representation services. For the most part they all begin with the best of intentions, you learn as you grow with your career and the business. In my series; FIVE QUESTIONS FOR ARTISTS ON ART MARKETING, I asked established artists how they have been successful in the Art Business, both through gallery representation and self-representation. I spoke with Canadian artists; Andrew Valko, Jeff Molloy, and Gordon Milne, while also tapping into a NYC artist by the name of BORBAY. In writing this article on Canadian Art Marketing, and sharing my experience I hope that it helps you in your journey as a visual artist, there are many great organizations out there that can help, as well as many reliable resources on the web, which I will share in a follow-up article. I am energized by all the possibilities available and all the opportunities that can be created, simply by having conversations and working hard. It has been said that success comes to people who are centered, intuitive, creative, and reflective – people who see problem as an opportunity. The only question is, how will you find resolution? This entry was posted in Art Chatter, Contributing Artists Articles. Bookmark the permalink.